The FT8 Roundup is co-sponsored by Muns Vineyard (Ed Muns, W0YK) and rttycontesting.com (Don Hill, AA5AU). The idea for the contest was born from a discussion Ed had with Ned Stearns, AA7A, and WSJT-X creator Joe Taylor, K1JT, in mid-2017. The discussion centered around creating an FT8 “DXpedition” mode for the KH1/KH7Z Baker Island DXpedition, which Ned was a member of. Through Ed’s participation and efforts, the development team agreed to look at an FT8 “contest” mode after they nailed down the DXpedition mode (also referred to as Fox and Hound). At the time, Ed and I doubted FT8 would work for contesting but we were intrigued by the possibilities. With the phenomenal rise in FT8 popularity in 2018 and the announcement that the ARRL would allow FT8 in the RTTY Roundup starting in 2019, we realized now would be a good time to try an FT8 contest if the software was available. Our Ten-Meter RTTY Contest was on life support due to low sunspot activity. An FT8 contest made sense in the Ten-Meter RTTY Contest December time slot. 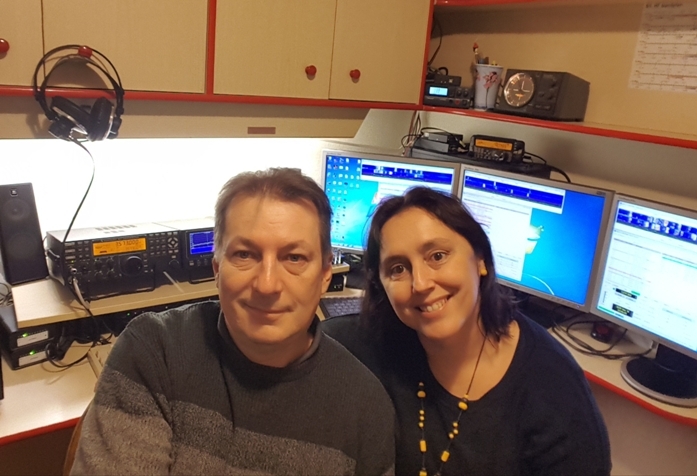 After Ned’s huge success on Baker Island employing the WSJT-X FT8 DXpedition mode in June 2018, Ed and I were excited at the prospect of an FT8 contest mode using similar techniques to achieve rates upwards of 300 contacts per hour in theory. But the development team was reluctant to model the contest mode after Fox and Hound because of higher bandwidth requirements. Additional time would be required to develop a suitable high-rate contest mode. One fundamental difference is that there are many Foxes in contesting, rather than the single DXpedition Fox. And, there are far fewer Hounds chasing each Fox in contesting. In mid-September 2018, WSJT-X beta version 2.0.0-rc1 was released by Joe Taylor, Steve Franke, K9AN, and Bill Somerville, G4WJS. It included an FT8 contest mode that supported the ARRL RTTY Roundup among other contests. Ed and I were in direct communication with Joe about an all-FT8 HF Contest to take place the first weekend in December and he was on board with his support. It would be the first major test of the FT8 contest mode. On September 20th, Ed coined the phrase “FT8 Roundup” for the first time and it became the name of the contest. We created rules molded around the ARRL RTTY Roundup and set up web pages on rttycontesting.com to support the contest. Ed worked with Ken Wolff, K1EA, to adapt the log-check software and with Trey Garlough, N5KO, to make the necessary changes to the contest robot. Things were really starting to ramp up. Over the course of the next two months, there were more updates to version 2.0 with improvements and bug fixes. The FT8 Roundup was announced to the public on November 14th even though the software was not quite ready. We were confident the development team would deliver a stable update before the contest. And they did. Beta version 2.0.0-rc5 was released on Monday, November 26, less than six days before the contest. There were three separate practice sessions that week to test the program. It wasn’t perfect, but it worked very well. The contest was non-stop action from start-to-finish and FT8 signals were wall-to-wall for 4-5 kHz on bands that were open. In the end, there were 1,253 logs submitted from 91 different DXCC entities, all 48 contiguous states + DC, and six Canadian provinces. The log-checking software showed there were 2,106 different calls claimed and 131,181 QSOs. For a first-time contest, it was quite remarkable. Perhaps just as remarkable was the support from the WSJT-X development team. Bill, G4WJS, offered near around-the-clock “live” assistance via the Rttydigital, WSJT-X Group, and Development Team reflectors. 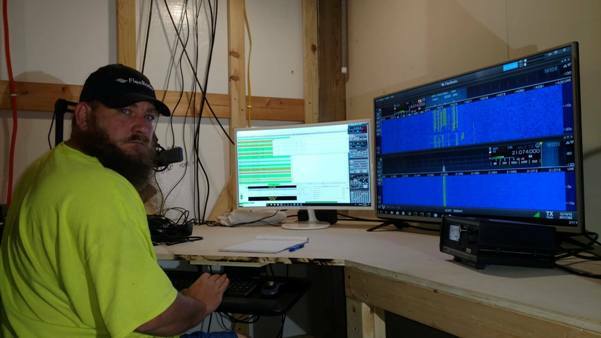 When the dust settled, Ron Koenig, WV4P, came out on top in the Single Operator category with 693 QSOs and 95 multipliers operating from Tennessee. The winning score was 64,885 points. Ron used a Flex 6600 transceiver and Icom IC-7300 “plumbed into JK Antennas”. Not only is Ron new to contesting, he was first licensed in June 2017 and made his first FT8 contact in February 2018. According to Ron “Activity was high the entire time making it hard to decide when to take off times”. Ron added that his shack is only half built. His antenna plans include a rotating tower. Looks like Ron’s been bitten hard by the contest bug. Ron Koenig, WV4P, won Single Operator. Dave Hachadorian, K6LL, ran a pair of Elecraft K3 transceiver SO2R for second place in the Single Operator Unlimited category. Ron and Dave both operated SO2R (single operator 2 radios) while the third place finisher used only one radio and a single wire antenna. He was none other than Joe Taylor, K1JT. Joe made 595 contacts with 89 multipliers and scored 51,175 points. 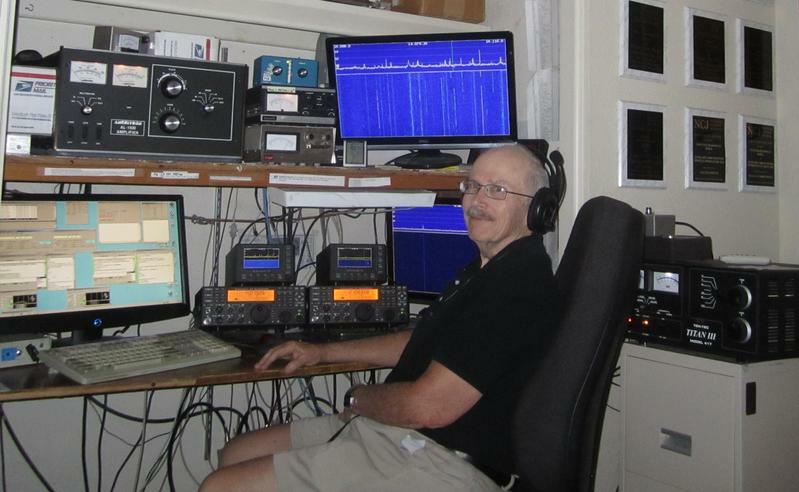 He described his setup as “an FT-2000 and a random-length dipole strung between a handy tree and the 50-ft level of my tower supporting a 144 MHz EME array and Yagis for other VHF/UHF bands.” His results are testament that you don’t need a big station to do well with FT8. 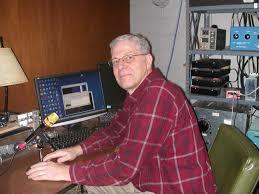 He edged out experienced RTTY contester and FT8 operator Bob Ruvolo, KI6DY, in Kansas, who finished fourth. Joe Taylor, K1JT, finished 3rd in the Single Operator category. The top DX station was Alex Panoiu, YO9HP, in sixth place from Romania. Javi Pons Estel, LU5FF, in Argentina, placed eighth. Both Alex and Javi are experienced RTTY contesters. In the Multi-Operator category, S51TC (Tone Valentan, S51TC & Andreja Valentan, S56B) overwhelmed the eight other multi-op entries with 473 QSOs and 84 multipliers and a score of 38,640 points. In second place was YU5R (YT3PL and YT7AW) with 19,596 points. Rounding out the top three was EA3RCB (EA3AYQ and EA3YM). Tone Valentan, S51TC & Andreja Valentan, S56B placed 1st in the Multi-Operator Unlimited category. Ed did some analysis of the best rates from four single operator stations. They are shown here. Ed notes that these rates are approximately half of what can be expected in a major RTTY contest but it’s really unfair to compare FT8 to RTTY. It’s like comparing apples to oranges. They are not the same and even though most of the FT8 Roundup participants came from the contesting ranks, roughly a third of logs received were from operators who may not be contesters at all. When comparing FT8 Roundup participants against the Super Check Partial (SCP) file of known contesters, 35% were not in the file. It’s phenomenal to see such a huge influx of new calls in just a single event. Ed and I are committed to continuing the FT8 Roundup next year and beyond. Perhaps we have only just begun to have fun contesting with this new mode. As far as the software is concerned, Joe says “We have so far put very little effort into optimizing the user interface of WSJT-X for contesting.” We’ll take that to mean things will only get better. See you next year in the FT8 Roundup.